Can you imagine the gasps of wonder as guest step into your backyard, taking in the truly brilliant area you have created? With some fairly simple solutions you can revamp your yard to look like a wonderland. Read on to find out how. Bring out the comfort of the indoors with some sleek timber decking. Decks are far warmer and more inviting than tiles, pavers or concrete, really making your guests feel at home. For a smooth transition from the inside to the outside you can raise the deck to the same height as the internal floor. Though decks are amazing, it is important to match the aesthetic of the house. 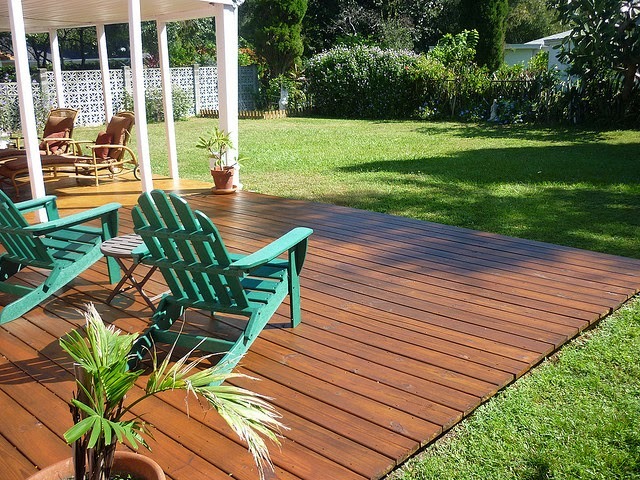 For advice on decking and patio installations talk to building experts like Additions Building. Patios are a comfortable place that is protected from the sun and rain. 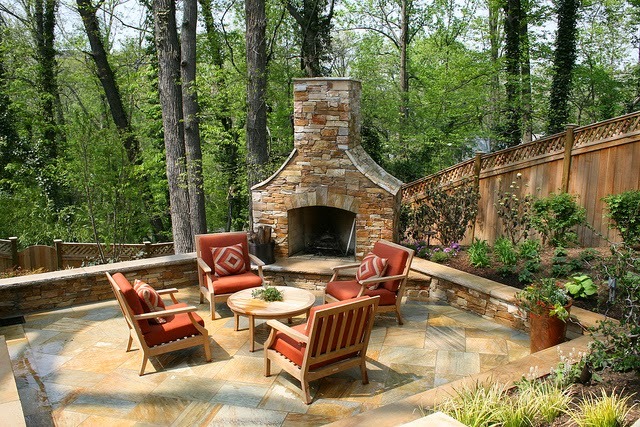 Depending on their use, a patio can be just about any design, shape or size. Very open designs are great for relaxing in a little shade while staying out in the weather, perfect for by the pool. Other designs can be very enclosed, like an outdoor room, protected from wind, rain and sun with lattice screens as walls or windows. Patios are nice to have attached to the house, but a real eye opener could be separated, standing alone and connected by a timber path. Make your guests comfortable with plenty of furniture to sit and rest on. Good strong materials are important for durability out in the elements. You need to consider how many people you expect to entertain, then look at getting timber table and chairs to fit that number. 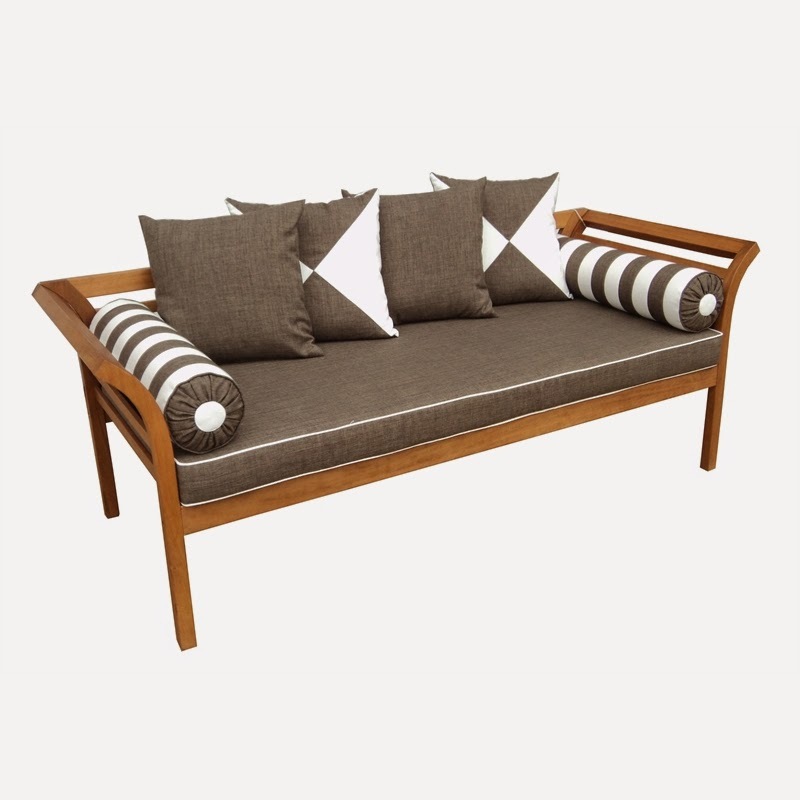 Timber furniture can be uncomfortable to sit on, so consider some outdoor cushions that match your colour scheme. Some water proof couches are fantastic for a cosy seating solution. Storage outside can sometimes be an issue, without having an ugly container or cupboard. Consider a storage bench to serve two purposes at once with some pillows on for comfort. Bland and ugly exterior fences can ruin all the hard work of making an amazing outdoor entertaining area. Brick walls can be painted into a feature wall that grabs the attention of your guests and brings the whole area together. On larger walls mosaics can be placed for an artistic depth in the area. For timber fences, you can install a timber screen to cover up the eyesore and create a beautiful backdrop. You can even grow a vine through the screen to add life to the garden. Not much says wow in a backyard like a roaring fire. A fireplace can be utilised in so many different way in your entertainment area. It becomes a focal point that quest can sit around, it provides warmth in winter, you can cook from it and smoke is a natural insect repellent. Depending on your own style, you can start from a small fire bowl, a fire pit or ever a large outdoor fireplace with a chimney. It is up to you to decide how you style your backyard, but with just a few of these ideas you are sure to give your garden the wow factor for your guests. What else can you do to make your outdoor entertainment area unforgettable?